Opioid addiction has become widespread throughout the United States. 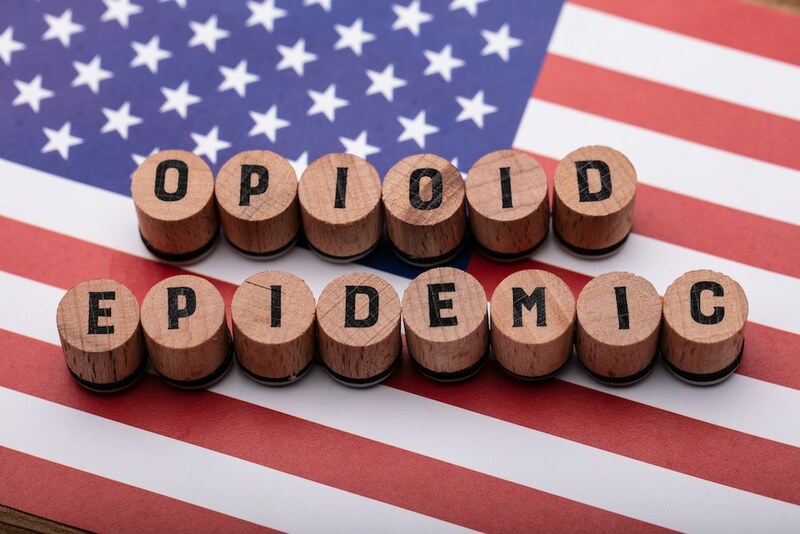 With opioids being prescribed for pain and pain management regularly, it seems the potential of opioid addiction is a risk for many, and being aware of the risk factors may be helpful. Opioids have a potential for addiction higher than most other substances of abuse. Prescription opioids can lead to dependence after less than a week of use, especially if they are taken in a way other than prescribed. Opioids trigger the brain to release chemicals that increase feelings of euphoria, which increases the likelihood of misuse, and eventually addiction. Opioids are prescribed for a number of pain related issues, dental issues, after surgery, pain associated with cancer, and pain management, to name a few. Due to increased possibility of developing dependence early on, increased feelings of well-being, and use of opioids for pain in medical problems that are not unique to one demographic, understanding the multiple opioid addiction risk factors is important. It is not uncommon for individuals with mental illness to attempt to self-medicate. Using an opioid that activates the pleasure-center of the brain might seem like a good way to decrease negative feelings. However, self-medicating using opioids is very dangerous, and become an opioid use disorder in a short amount of time. Don't wait, get the best treatment options today! Sometimes environmental risk factors are associated with opioid abuse. Many of these factors are outside of the individuals control, and being aware of the increased risk can help to prevent a person from misusing opioids. Factors like childhood abuse, poverty and unemployment can increase likelihood of opioid misuse. In addition, peer pressure can have a significant impact on an individual. If misusing opioids seems to be acceptable among peers, friends, family, co-workers, or members of your community, the potential for someone to begin misusing opioids increases. Opioids activate the part of the brain specifically related to feelings of euphoria. The intensity and duration of these feelings is controlled by how the person administers the opioid. If a person begins by swallowing a pill, they will have feelings of euphoria that is mild and lasts for a period of time. Comparably, if a person injects an opioid, the surge of euphoria will be extremely intense, but last only a short amount of time. These mechanisms of action are what increase the likelihood of opioid misuse and addiction. These feelings of euphoria are created when dopamine floods the reward center of the brain and affects the release of endorphins. Long-term opioid abuse can suppress the ability of the brain to produce endorphins on its own. These factors typically lead to opioid addiction, as the person feels as though they cannot achieve these same feelings of euphoria without misusing opioids. This is why withdrawal from opioids feels so intense, the cravings for opioids seems to last longer than other substances of abuse, and abstaining from opioids appears to be difficult to do alone. It is important to recognize these pharmacological warning signs of opioid addiction, and reach out for help. There are facilities available to help through withdrawal, recovery, and relapse prevention. There are genetic risk factors in opioid addiction that affect how an individual responds to opioids. Family history of addiction can play a role in the development of an opioid use disorder, as well as personality disorders and atypical stress response issues. There are specific genes that can affect how opioids are metabolized in the body, pain response, dependence and addiction. There are variants at the gene level that are associated with impulsivity and risk taking behaviors that may affect willingness to initially misuse and opioid. The majority of individuals with these genes are not aware that they have them, and therefore misusing opioids is no better than a game of roulette. Taking opioid prescriptions as they are prescribed, and not misusing opioids are ways to lower the likelihood of developing an opioid use disorder. Abstaining from opioids, if possible, is encouraged. Taking the lowest dose possible for the shortest duration of time is the best way to avoid addiction to opioids, if avoiding them completely is not an option. Obtaining a prescription for opioids after a broken bone or surgery for two to three days, and taking exactly as prescribed, would be an example of this. Chronic pain treatment can be a struggle for a person to find a medication that will work for a long period of time and not result in dependence or addiction. In the past, opioids have been prescribed for pain-related issues associated with Fibromyalgia, Crohn’s disease, and Degenerative Disc Disease. However, with medications like gabapentin (Neurontin) and other non-narcotic pain management medications, treatments can be opioid free. If an opioid prescription is part of any treatment plan created with a medical professional, it is important to take opioids under their supervision, and exactly as prescribed. The doctor may use urinalysis (urine screening) to ensure that the medication is being taken properly, and ask questions about your level of pain and if any ‘breakthrough’ pain is occuring. Breakthrough pain is any pain that occurs before the next prescribed dose is supposed to be taken. Maintaining communication with the medical professional while taking prescriptions opioids is another way to help prevent the misuse and potential addiction to opioids. There are other opioids that are used during anesthetic processes (pethidine), and heroin is an illegal opioid, but the above list are the opioids that are typically prescribed for chronic pain. There are several indications of a developing opioid misuse disorder that could progress into opioid addiction. These symptoms can be broken down into psychological, physiological, and behavioral symptoms. These are some of the symptoms to look for when opioid use could be developing into an opioid misuse disorder or addiction. If you or a loved one have these symptoms, contact us today. We can help you identify if treatment is necessary and a program that will meet the needs of you or your loved one. OpioidTreatment.net is a referral service that provides information about addiction treatment practitioners and facilities. OpioidTreatment.net is not a medical provider or treatment facility and does not provide medical advice. OpioidTreatment.net does not endorse any treatment facility or guarantee the quality of care provided, or the results to be achieved, by any treatment facility. The information provided by OpioidTreatment.net is not a substitute for professional treatment advice.